The drug is the dried whole plant or root of Thalictrum ramosum Boivin (family Ranunculaceae). 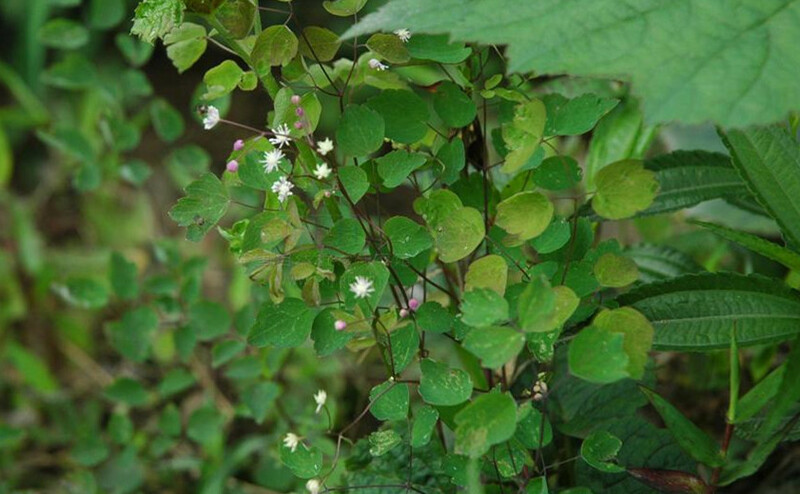 Growing in woods and shrubs, on hills, roadsides or brook sides, or at wet places, distributed in the west part of Hunan, the north part of Guangxi, Sichuan of China. It is used to clear heat and remove toxicity, to induce diuresis; for the treatment of conjunctivitis, dysentery, jaundice, sores and boils.